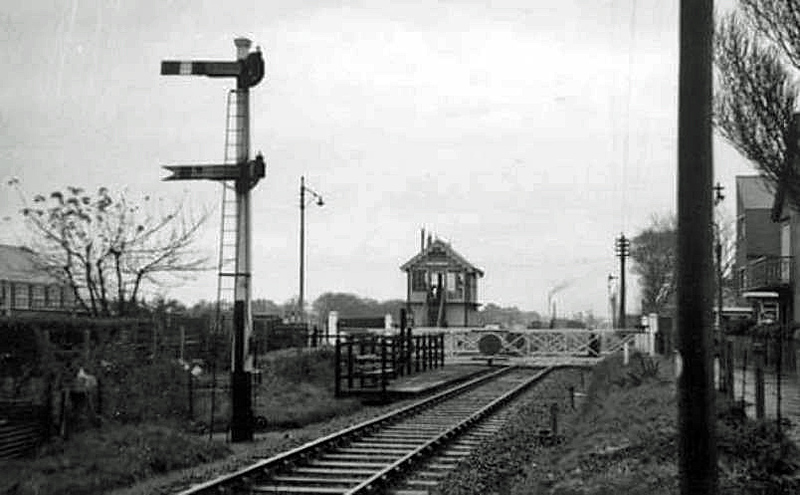 Newtown Halt, Norfolk. Located on the Midland and Great Northern Joint Railway between Yarmouth Beach Station and Caister. The very short platform can be seen in front of the Salisbury Road crossing. View is towards Caister. Photographer unknown.